Buying and installing carpet is expensive. As a single item of purchase, most homeowners would probably rank it next only to the cost of acquiring a car and the house itself. Basically, carpet is a good surfacing material, a real investment. However, cleaning them can be extremely difficult. Improper care can give rise to problems. Removing stains, if not done right, may only make them look worse. And if not given regular care, they may also smell bad, trigger allergic reactions, be breeding places for germs, molds, mites and a host of other unwelcome tenants. Of course, once the task do become too daunting, there is always that option of getting help from professional carpet cleaners. Professional carpet cleaners use a variety of cleaning methods. Carpet “shampooing” is one method for cleaning particularly heavily soiled carpet still preferred by many commercial carpet cleaners. Here, a foamy chemical solution is distributed on the carpet and scrubbed in with a motorized circular brush. Then, without rinsing, it is thoroughly vacuumed to remove the residue. Other variations of this method involve the use of absorbent powder, encapsulating compound crystals or absorbent cotton pad (called a bonnet) in place of the foamy chemical solution. The absorbent powder or bonnet mops up the dirt then is vacuumed out without rinsing. Sometimes called “dry cleaning” or “low moisture cleaning,” this method, including its variants, rely on petroleum-based solvents or other chemical-based detergents to separate the dirt from the carpet. Here the cleaning solution works much like paint thinner or nail polish remover to make the dirt easier to extract from the carpet. Since no rinsing is done, chances are some residue, including odor residue from the chemicals, will still be left no matter how thoroughly vacuumed. Hot water extraction, also popularly but mistakenly called “steam cleaning,” is another method professionals use. In this instance, a heated water cleaning solution is sprayed into the carpet fibers, rubbed or “agitated” in, then quickly, almost simultaneously sucked out along with the dissolved dirt and grime using a very powerful vacuuming equipment. Hot water extraction is the method the majority of carpet manufacturers recommend. According to their findings, cleaning is safest and most effective when only hot water, or hot water with very dilute detergent solutions, is used. 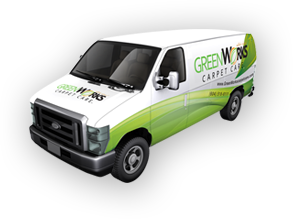 Professional carpet cleaning Vancouver-based GreenWorks Carpet Care in particular uses only d-limonene, the 100% natural food-grade orange extract, in their hot water cleaning solution. With hot water extraction, no harmful detergent residue is left on the carpet unlike other cleaning methods. Since the extraction of the hot water, along with the dislodged and dissolved dirt, is the most important step in the process, equipment choice is also critical in this method. 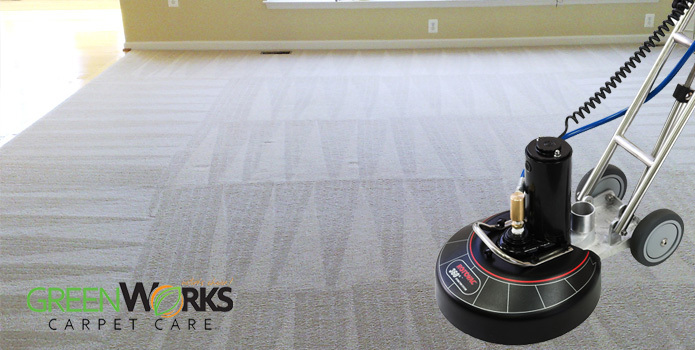 GreenWorks Carpet Care for one uses only the Rotovac 360i. Unlike conventional vacuum cleaners, the Rotovac 360i has rotary vacuum heads which can thoroughly clean the carpet from all directions with hundreds of multi-directional cleaning passes rather than just back and forth a few times. Also, with these rotary vacuum heads, there is less overspray than those of other brands, which makes for a much faster drying time.